Is there a game which appeals more to the stylish gambler than baccarat? Maybe not. After all, not every game can be claimed to be the favourite of the world’s most famous spy, James Bond. Baccarat is that and more. 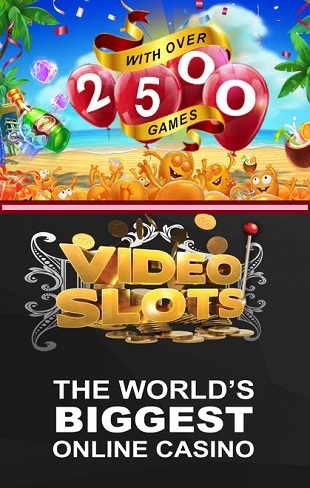 A game which exudes elegance and is the first choice of those with a finer taste in casino games. This is a game which is may be favoured by players with an air about them, hanging around the yachts and bars of Monte Carlo. Make no mistake, the game is not just reserved for those considered to be the classier clientele. Anyone out there can play the game, as there is no restriction on who can get in on the action. That is, providing they are aged 18+. Providing players are old enough to gamble, they should find most casinos have at least one version of the game. There are three main types of baccarat which are played, which are: Punto Banco, Baccarat Chemin De Fer and Baccarat Banque. UK players will almost always play the former, as it is the highest regarded version of online baccarat in Britain. Most online casinos will have at least one version of baccarat but there are some that go much further and offer something really special for baccarat fans. The top online baccarat casinos will take extra care to make sure that their baccarat games do justice to this elegant and classy high roller favourite. Offering a wide choice of baccarat games is a must for a top online baccarat casino these days. There are not as many rule variations as there are with blackjack, in fact, you’ll find the rules the same in pretty much every version. The variety comes from offering things like progressive jackpots, side bets, live dealers, and a choice of low to high betting limits. The top online baccarat sites should offer the squeeze option where the sides of the card are turned up gradually one side at a time in order to build the excitement before the final flip. Many versions of baccarat available online don’t have this option and are just basic card flipping games which aren’t what you should be looking for in a top baccarat site. The best baccarat casinos do not neglect this casino favourite and we have hunted down and tested the very best baccarat versions you can play online, with special attention given to variety, graphics and sound and overall casino quality. Baccarat has a reputation for sophistication, and for being the favourite game of high-rollers who slip behind velvet curtains into VIP rooms in casinos. Like so many things that become stylish or fashionable, there’s no particular reason for that, and you shouldn’t let yourself be put off playing baccarat as a result. It’s perfectly simple to play once you get your head around the rules, like any online casino game, and the versions available at online casinos are usually the simplest variety of the variations available. Baccarat is a comparing game, like blackjack. One of the chief barriers to entry for players is that a lot of the terminology is in French. Even the rounds are called “coups”, but don’t let this put you off, once you have learned this – it’s simple. Like blackjack, the game is played “against” a dealer, with both competing to get the highest score with cards that are not worth their face value. There are three well-known versions: American baccarat, which is also called Punto Banco; Chemin de Der; and Baccarat Banque (also called à deux tableaux). North American banco is played automatically after the deal. The other games allow players to make some choices about what they do. Baccarat has a house edge of 1% and upward. Each card in baccarat scores points. The game is played with a standard deck (or decks) of cards. Aces are worth 1 point. Cards from two to nine are worth their face value. Tens, jacks, queens, and kings score no points. Each hand is scored by adding up the points value of its cards and then using the digit to the right in the total. For example – a 3 and a 4 would both be worth their face value, to give a total of 7, and that is the final value of the hand. A 7 and a 6 would give a total, from their face values, of 13, of which only the right-hand digit would count, to give a score of 3. Nine is the highest possible score as no double-digit scores can be achieved. When you see baccarat advertised in an online casino, it is almost certainly Punto Banco (you should, of course, check). It is dominant in the English speaking world and Scandinavia. The vast majority of all gambling revenue in the Chinese/Portuguese enclave of Macau is from this game. The game is played by the player independently. In this version, punto just means “player”, and banco “bank”, and you bet on which will win. In real-life casinos, there will be between six and eight packs of cards in a shoe, and most simulations will match this (check!). First, the dealer deals a card face up. They then discard that and deal out the same number of cards, face down, as the value of that first card. These are all discarded. The dealer deals cards face up alternately to player and banker until each has two cards. If the total of either hand is eight or nine then a third card may be dealt. If neither hand has that total then the hand is over and the highest hand wins, with equal totals resulting in a tie, no matter how their total is made up. Third cards are dealt according to a set of rules known as the tableau. When the player’s total is between zero and five he must take a third card. On six or seven he must stick with what he has. The same rules apply to the banker when the player has stuck on two cards. Not take a card when his total is seven. Then the total is worked out again and the winning hand announced. All bets on that hand are paid. The normal routine in baccarat is to pay even money on bets on the player’s hand and 19/20 on bets on the bank hand – a 5% commission to the house. In casinos, the game is played at a classic gaming table, often with high minimum bet levels. There are usually three members of staff on hand, but the card shoe is passed around among players, moving on wins on player hands, either to the next player in a clockwise direction or to the player who won the most money on the hand. Croupiers can deal if asked. The house edge – basically, the slant in the game odds that allows a casino to make a profit – varies widely in punto banco depending on how you play. Betting on player’s hands gives a house edge of 1.24%. The commission on the bets on banker’s hands makes little difference, providing a 1.06% edge for the house. This is just under the house edge in European roulette. Tie bets are terrible value for players, with a 14.4% house edge on the American odds of 8/1, and around 4.85% for UK odds of 9/1. Card counting can be attempted in baccarat. A technique called “edge sorting”, in which players have spotted imperfections in the design on the reverse of cards and used them to spot high-value cards has been ruled illegal in a couple of court cases against a big winner. We’re no lawyers, but having read shortened accounts of the cases we can’t see how this is the case, but, nevertheless, the courts – in the UK and US at least – have spoken on this matter. Super 6 or Punto 2000 is a variant that pays out even money on bets that win on the banker’s hand, eliminating the house commission of 5% that is customary on that bet. However, you pay for this with the pay-out on banker hands that win on a 6 – these pay just 1/2 or 50% of the bet. In fact, the overall effect of this apparent generosity is to increase the house edge to around 1.46%. EZ Baccarat also pays evens on banker bets, with the exception of wins on a total of seven after a third card draw. An extra bet called a Dragon 7 pays 40/1 on bets on the banker scoring a total of seven after three cards. The Panda 8 bet pays 25/1 on player totals of 8 after three cards. In French casinos and websites, this game – Chemin De Der – means railway – which was invented as a high-speed variation on the original baccarat is the commonest game. It is played with six decks of card, shuffled together, with the deal going anti-clockwise. A player takes the role of banker and dealer, with the other players being called “punters”. At each deal, the banker bets what he wants, and the punters go round the table answering whether they will “go bank” and match that bet in order to play against the bank. If no-one wants to risk that amount then the players have another chance to see if the total of their wagers matches the bank amount. If they do not, then side bets are allowed in as part of the total. If they exceed the bank total then the banker can match that amount or ask that the bets are removed until the totals are equalised. Four cards are then dealt, all face down. Two go the banker, and two are played by the players who have bought into the hand, who are represented by the one of their number who made the highest bet. If there’s a tie on bet amount then the player who would have played first in play order takes this role. The cards are turned and compared. On eights and nines, the hands are compared. If neither hand hits that total then a third card can be dealt, face up. There are no hard-and-fast rules on this, but tradition is that the player will ask for a card if his hand’s total is four or less. If it’s a six or a seven total then it is a convention to refuse. After the player’s choice, the banker makes the same choice and the hands are shown and compared. Player’s bets are rewarded at 1/1 from the bank and the bank role passes around the circle. If the banker’s hand has a better total then the cash stays in the bank. On drawn hands, bets remain on the table for the next hand. Bankers are allowed to withdraw when they want, handing the role to the first player who offers to put up the amount that is in the bank as his stake. If no-one will put up that amount then the role passes to the next player around the table, and they set a new stake for the bank. Baccarat Banque is another baccarat variation with a player working as a banker. The game is played with three packs of cards, and the banker remains banker until he quits or runs out of money or all of the cards in the shoe have been dealt, whichever comes first. The banker role is auctioned to the highest bidder in most games. Games are usually played with 10 punters playing “against” the bank. Watchers must wait for a chair to become available unless their bets are invited to match a bank total the sitting players do not meet. Opposite the banker sits the croupier, who handles the cards after the punters have placed their bets on a hand. The banker deals one card each to the player to his immediate right, the player to his left, and finally to himself. Then he repeats the deal to complete the hands. The hand to his left is played by all players to his left. The hand to his right by all players to his right. The rest of the game rules are the same as baccarat Chemin de Fer. Once a punter has lost a hand while holding the cards the next player along steps into that place. Players can monopolise the bets by going Bank in the same way as in other variants. This is offered along the lines of players to the right and left, alternating between the two. Two players – one on either side – can share going bank, putting up half each. Players who go bank can also split their bank amount between two hands. After losing three attempts at going Bank, a player may not go Bank again. The banker must play at least one hand. After that, they may stand down but must match the stake on their final hand as a Bank in the next hand. Bets over the banker’s initial stake are left on the table and are paid by the croupier to punters in play order until funds are exhausted. However, the banker can accept the larger amount before the hand and put up their own money to match the excess. That covers the simplest variations of baccarat, and as we’ve said, you’re most likely to encounter simple punto banco in online casinos. We’ve urged you not to be afraid of this game, but you can see that it’s got its complexities. That’s why we recommend playing free online baccarat if you can. There are two ways of doing this. 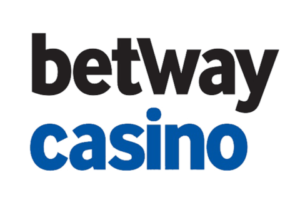 You can find a site offering demo versions of games, or see if your favourite casino site allows you to play games in demo mode. Or you can cash in an online baccarat bonus and use that for what amounts to free play. Of course, you can’t really play in demo mode with live dealer games. The beauty of punto banco baccarat is that it is very easy to play online. Despite all the glitz and the glamour, the high-roller reputation, and the French terms it boils down to one choice: player, banker, or tie! Once you’ve done that, in this game, you can sit back and watch what happens. That’s easy for you and easy for casinos to set up online. So there are a load of online baccarat games to check out. A simulator will be pretty simple. You’ll see a pack of cards, from which the cards will be flipped. You will also see your balance, usually represented as chips, which you will be able to place on one of three boxes: player, banker, and tie (or versions of that). In most baccarat games, you will also see a history of how the cards have fallen in the most recent hands. Do take a look at this. Then do remember that “past performance is no guarantee of future performance” and feel free to disregard it when it comes to deciding how to bet. If you’re playing variants on the game, you may also see the extra bets – like Dragon 7 – marked. The differences in the live dealer baccarat game from free baccarat simulators are very small and entirely cosmetic. And that will include camera angles and the like. And it will also include a dealer – usually only one, but there may be a collection of dealers. This dealer will almost always be an attractive young woman. This is something that you should bear in mind when you play baccarat. Casinos know that pretty girls have always and will always (and handsome men too) sell. Please don’t allow this fact to cloud your judgement over where you play. You should play at the tables that you trust and that offer you a fair deal and a safe and enjoyable gambling experience. If you accept that gambling is entertainment and you will pay for entertainment, then you might include interacting with an attractive person as part of your entertainment. But don’t make decisions based on that interaction – dealers are doing a (not well paid and very boring) job. They are not going to throw the cards in the air and declare their love for player, Kev2654, and run away with you. So just play the game. One of the most popular online baccarat games is baccarat squeeze. Evolution Gaming produces this title – and variations on it – from its Baltic studios with live dealers. And, the good news for players is, that, excitingly… it’s exactly the same game as standard baccarat in most ways! The difference is in the reveal. The squeeze is a habit in the casinos of Macau, and it amounts to little more than a smart way of revealing the cards as they are turned over. We could try to describe the various motions and folds that go into a squeeze; we can’t for the life of us explain the purpose of it, other than adding tension to the game, and serving to build even more of the superstitions into the game that Chinese gamblers seem at least as keen on as European and American players. Live dealer games can make quite a performance of these reveals, and who are we to say that you shouldn’t get excited by this, and we’re sure it probably adds a little interest to the game for the dealer. A much more consequential difference in some online baccarat games are the side bets. Pairs bets allow players to bet on whether either hand will contain a pair. They’re called, predictably, Player’s Pair and Banker’s Pair. Evolution, for example, pays out 11/1. Other bets might include, Player Bonus and Banker Bonus bets, which usually pay out when hands win with “naturals” or by a margin of four or more. Perfect pair bets are available at Playtech and Evolution sites, and they offer pay-outs when suited pairs are dealt in the first hands. The odds are great – at 25/1 – but the house edge of around 6% shows that the house wins in the end! There are too many side bets to cover in full here. A good online baccarat casino site, whether live-dealer baccarat or free baccarat, should show these bets clearly on the table, with a place for you to put your chips and ideally a measure of the odds, and give a decent guide to the game that explains them properly. We do not believe in game strategies generally. They are most often used as a way of scamming money out of vulnerable people who are desperate enough or ill-informed enough to believe that they can somehow skirt the inevitable mathematics of casinos and guarantee coming out on top. What you may be able to do is make your money last a little longer and play more safely. The best strategies on baccarat are to find a table offering the UK odds on ties, which greatly decreases the house edge. Banker bets have a slightly lower house edge than player bets, despite the commission on pay-outs on these bets, so if you were going to play purely by the stats then you would simply stake on this. Side bets are fun. They are not long-term play strategies though. Follow more general advice on safe gambling, safe play, online security, and data protection at all times, and learn to love baccarat at your favourite UK casino site now.